Is féile idirnáisiúnta Ghaeilge í Seachtain na Gaeilge, atá ar an gceiliúradh is mó dár dteanga agus dár gcultúr dúchais a bhíonn ar siúl in Éirinn agus fud fad an domhain gach bliain. Tugann an fhéile deis do gach éinne sult a bhaint as an nGaeilge, idir chainteoirí dúchais, fhoghlaimeoirí agus lucht an chúpla focal ar aon, trí fhéilire imeachtaí siamsúla agus spraíúla a chur ar fáil do gach cineál suime agus gach aoisghrúpa. The largest Irish language festival in Ireland and around the world! 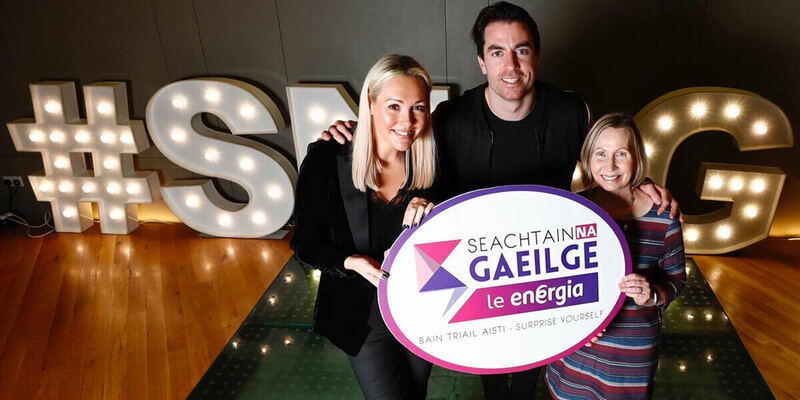 Seachtain na Gaeilge (Irish Language Week) is an international festival, which is the most popular celebration of our native language and culture in Ireland and many other countries each year.